The Law Enforcement Torch Run for Special Olympics kicked off Monday in Sioux Falls. 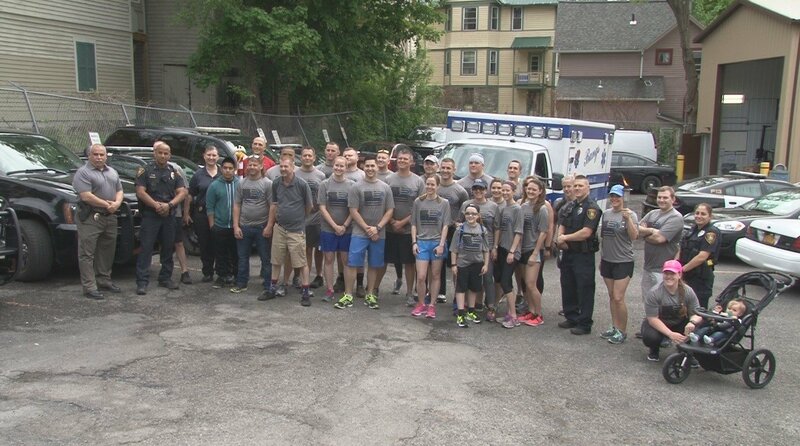 The Law Enforcement Torch Run took place on Saturday morning. There, local athletes were loaded onto a truck and other walked and ran with the officers, surrounded by emergency and law vehicles along a northbound lane of the highway. The torch will make its way to Spearfish for Thursday's Opening Ceremonies where more than half of the state's 2,100 Special Olympic athletes will compete at Black Hills State University. The Montana Summer Games will be May 15-18 with 11 sports and over 1,000 competitors. During the run, a ceremonial torch is carried by someone at all times. This year the Special Olympics New York Flame of Hope will travel throughout Hamburg to Remember Fallen State Trooper David C. Brinkerhoff and Honor HSI Agent Joe Dubreville. Nathan Bestwick is also an athlete, but just volunteered this year at the Torch Run.